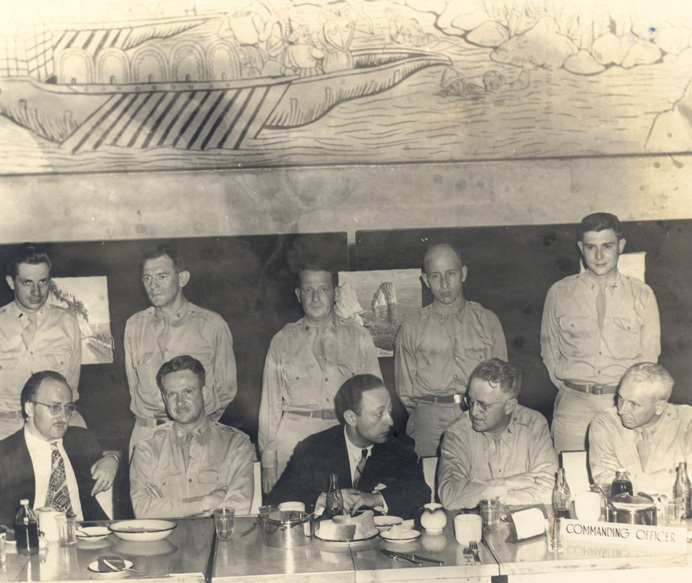 Jascha Heifetz and accompanist Milton Kaye (far Left) have dinner with troops from the 21st General Hospital following a USO concert in Naples, Italy, June 16,1944. If you’ve never heard Jascha Heifetz’s 1944 recording of Irving Berlin’s White Christmas, take a moment and listen. White Christmas was first performed by Bing Crosby on Christmas Day, 1941. Crosby’s single sold 50 million copies and stands as the best-selling single of all time. The song resonated with soldiers stationed abroad during the Second World War. ‘The Messrs Heifetz and Kaye played in theatres, opera houses, airplane hangers, battleships and right up at the front lines…For the front-line engagements, of which there were several, the concerts were given from an open truck which carted a small, olive-drab piano. White Christmas ranks number two on the Songs of the Century list, behind Over the Rainbow. There’s a sense of melancholy lurking beneath the surface in both songs. In an article published yesterday at Smithsonian.com, Marissa Fessenden examines the sadness of White Christmas and personal tragedy in Irving Berlin’s life. Grab your pen and take down this song. I just wrote the best song I’ve ever written — heck, I just wrote the best song that anybody’s ever written! Jazz miniatures arranged and recorded by Jascha Heifetz can be found on a compilation disk called, It Ain’t Necessarily So: Legendary Classic and Jazz Studio Takes. piano at a party for our first Master Class pupils at an Easter Party at his Beverly HIlls home. He was having a marvellous time disguising famous theme’s from violin Concerti on the piano in nearly unrecognisable rhythms, asking if any of the seven of us knew what they were! HIs improvised jazz playing was remarkable! Heifetz possessed that God given sense of rhythm only felt by the Greats! Thank you for sharing your first hand account of your experiences with Heifetz, Elisabeth. 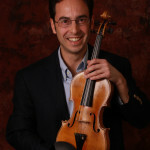 You must have many wonderful memories from your participation in the Heifetz masterclasses.